Here’s a question for you: Do you know where your career is going? If you’re not 100% sure, don’t worry. There’s ways of figuring it all out. But to get to wherever it is you’re going, you will need to start with a plan. Professor Malcolm McDonald is a highly accomplished Marketing expert and lecturer, and author of more than 50 books. He once told me of his frustration when, as Marketing and Sales Director at Canada Dry, he was interviewing candidates for various marketing roles. Professor McDonald himself knew only too well how long and difficult that career journey could be. As Professor McDonald will testify to, we are all much more likely to reach the senior marketing roles we dream of if we have a clear view of what is expected of us to get there. Now – think about how you would plan a long journey. You would read guide books and maps. You would check out online reviews, and ask friends who might have been there before. You would find out about any risks or concerns, and find ways to stay safe. You would get the necessary travel documents, tickets, shots and jabs. Finally, you would pack a bag with everything you might need on your travels. Now – imagine planning your own career the same way! Make sure you have a travel plan that is unique for you. Someone else’s itinerary may look very different to yours – so don’t try to copy and paste your plan from other people. There are often many different ways to achieve the same career goal. 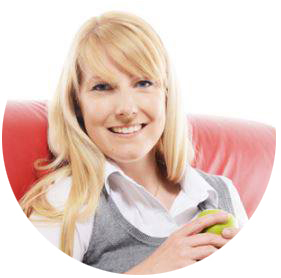 Look for a plan that takes into consideration your work/life balance, budget, specialist interests and more. When it comes to training, for example, there are many ways to get certificates and diplomas on a part-time or distance learning basis. And if you’re not into traditional learning, there are hands-on workshops that can teach you many of the same principles. Before you can even start following a map, you need to be clear on where you are starting from. What is your current position and what is the best step to take from where you are? You have a unique starting point, and a unique perspective from where you stand. Make sure you appreciate and acknowledge your current place in your career. Take the time to understand how your journey so far has positioned you for the road ahead. You have most likely made more progress already than you think! Whenever you plan a journey, you should take a moment to identify which areas on the map that might be difficult or dangerous. If you can’t avoid it, then make sure you come prepared with safety equipment! You may also want to highlight parts of the route you will need to spend more time on. After all, you don’t expect to climb over a mountain as fast as you’d jump over a puddle, so make sure you are realistic about what to expect. We all have risk areas, threats and challenges in our careers. But if we can anticipate them and prepare to tackle them, we can be more confident and successful on our journey. If, for example, you know that there is someone blocking your progress inside the business, you can make it your mission to spend more time developing your relationship to that person and building trust. Alternatively, you can look at ways of by-passing them – or pursue a job elsewhere. You don’t go travelling with just anyone. You need to hand-pick travel mates you can trust and whose company you enjoy. Make sure you all know where you are going. Your end destinations may be different, but you should be around to help each other on your respective journeys. By sharing your travels, you will create a strong bond which can last a lifetime. We all need supporters in our career. Whether they be co-workers, friends or family – make sure you have people around you who understand your journey and will spur you on. When things get difficult, these are the people you will turn to for advice, guidance, or perhaps just a cup of tea and an encouraging chat. Finally, one important thing to remember is your luggage. What will you pack for the journey? You are in charge of packing your own bag, you will be held responsible for its contents, and – most importantly – you will be the one carrying it down the track. Make sure you don’t bring anything unnecessary, dangerous or illegal. And don’t let anyone tamper with your bag! Think about what you carry around with you on a daily basis. What’s in your mental and emotional backpack? Do you have fears and worries that will restrict you, or prevent you from going all the way to your career destination? Do you have thoughts of self-doubt or perfectionism? Do you lack the healthy, helpful mindset that will push you out of your comfort zone when you need it? Take some time to analyse your own beliefs and make a note of areas you need to improve or change as you embark on your career adventure! Every career journey is different, just like you and I are different. But these are a few metaphors that can hopefully be helpful in your career progress. PS. 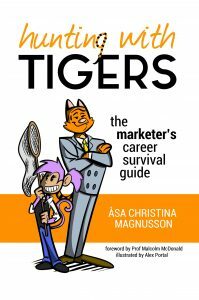 If you want to get a bunch of useful tips on how to manage your marketing career, check out my book Hunting with Tigers – the Marketer’s Career Survival Guide.